Tomorrow the 2016 NFL Draft will take place, and the Washington Redskins are slated to have eight picks, although Redskins GM Scot McCloughan says he wants twelve. 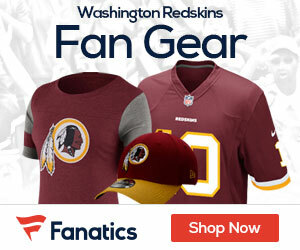 The Redskins will be looking to fill some of the needs they have that include defensive tackle, safety, center, wide receiver, runningback and middle linebacker. 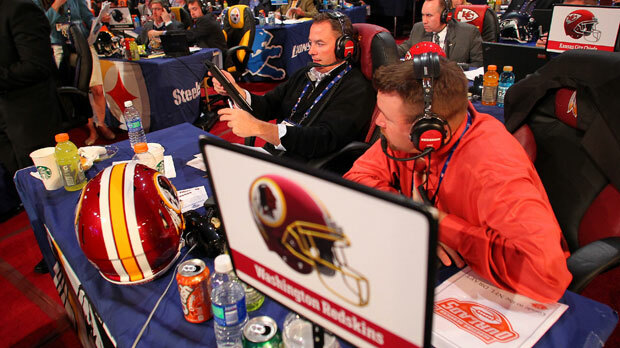 Today we’re going to take a look at our own seven-round HTTR4LIFE Mock Draft, we’ll be using the Premium version of Fanspeak’s On The Clock Draft Simulator to aid in the process. Trades were on, but no acceptable deals were offered in this particular mock. It should be noted that the player I feel would help the Redskins the most in this draft would be defensive tackle A’Shawn Robinson from Alabama. 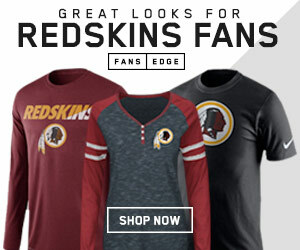 However, chances are that Robinson will already have been drafted when the Redskins make their selection at pick 21 on Thursday. With that being said, here’s your 2016 HTTR4LIFE Mock Draft. As stated above, I believe A’Shawn Robinson to be the player who is the best fit, but in this particular mock he wasn’t available at 21. Even with Ole Miss DT Robert Nkemdiche, Alabama’s Jarran Reed and Mississippi State’s Chris Jones still available, Baylor’s Andrew Billings stood out. The main knock on Billings is his age, he just turned 21 in March. Even with his youth being questioned, he has the overwhelming strength of a full­-grown NFL defensive tackle. With elite power and unusual closing speed for a big man, Billings has a chance to become something rarely seen…. a play-making nose tackle with the ability to dominate at the point of attack. This guy seriously has what it takes to be a future All-Pro for years to come. The Redskins have been looking to draft a starting safety for what seems like ages now. With the class of safeties being thin this year, Keanu Neal at pick 53 could be exactly what the team needs in its secondary moving forward. A 6-3 receiver who runs the forty-yard dash in 4.37 seconds is a rare breed not often found in football. Generally those two traits equivilate into greatness at the next level. As physically gifted as Charone Peake is, he also comes with some injury concerns. The major reason he’s not a top 15 prospect in this draft, beyond the fact that he got caught behind names like DeAndre Hopkins, Martavis Bryant and Sammy Watkins at Clemson, are the question marks on his two knee injuries. Peake was able to enjoy an injury free 2015, hauling in 50 catches for 716 yards and five touchdowns. Peake had 6 catches for 99 yards in January’s National Championship game against Alabama. With the Redskins looking to get younger and save cap dollars by releasing a player currently on the roster, such as Kory Lichtensteiger, it’s a no-brainer that the team should look to draft a center. With the two best power-scheme centers already off the board, Ryan Kelly and Nick Martin, Evan Boehm from Missouri is the guy Redskins GM Scot McCloughan should look to if he’s available in round four. The forgotten back last year at Alabama with Derrick Henry winning the Heisman trophy and capturing the national spotlight. Truth is, Drake has good size, quick, shifty feet and can catch the football extremely well. The latter of which is something VERY important in Jay Gruden’s offensive system. While Lawrence-Stample will not be a day one starter, he does fill gaps and run-stuff effectively enough to get ample playing time at the next level. He has enough power in his base to anchor against double teams and his work at the point of attack will improve with more hand work. Very good vision into backfield and keeps running backs locked in. Could be a great rotational guy to start his career and perhaps more as time goes on. He battled injury issues last year after being first team All-ACC in 2014. Morrison is an undersized, two-time second-team All-SEC inside linebacker who led the Gators in tackling the last two seasons and is tough as nails. He’s an extremely intense locker-room leader who suffered a major knee injury in the Gators 2014 bowl game, but battled back to lead the Florida defense this past fall.